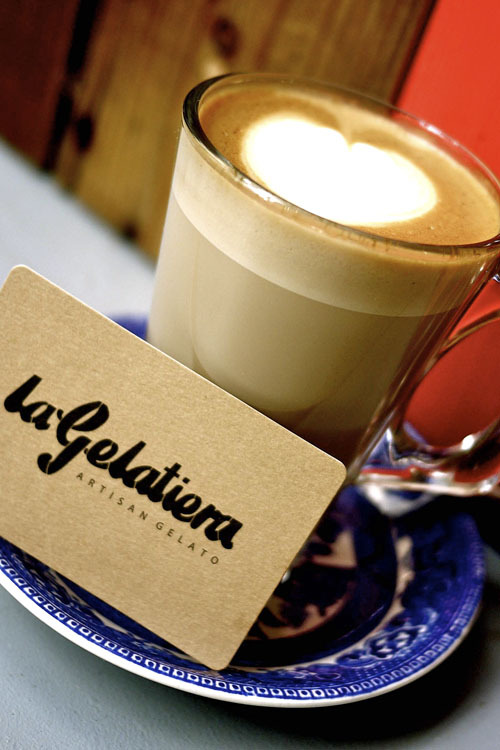 ..:: LaGelatiera - The Coffee ::..
We are also dedicated to serving the best coffee available in London. Our coffee beans are locally roasted specially for us by master roasters Alchemy Coffee in London. Our espresso coffee is a blend of dark roasted Finca El Socorro, Guatemala and Fazenda Pantano, Brazil beans reminiscent of Southern Italian blends producing intoxicating chocolate and toffee aromas, and the most exquisite espresso you'll ever taste. All this wouldn't be complete without our vintage Victoria Arduino Athena lever machine which is one of the very few in London, delivering all the magic and ritual of traditional Italian Barista coffee-making. Lever operated machines require extra skill and care, but the result is a flagrant coffee and a unique experience.